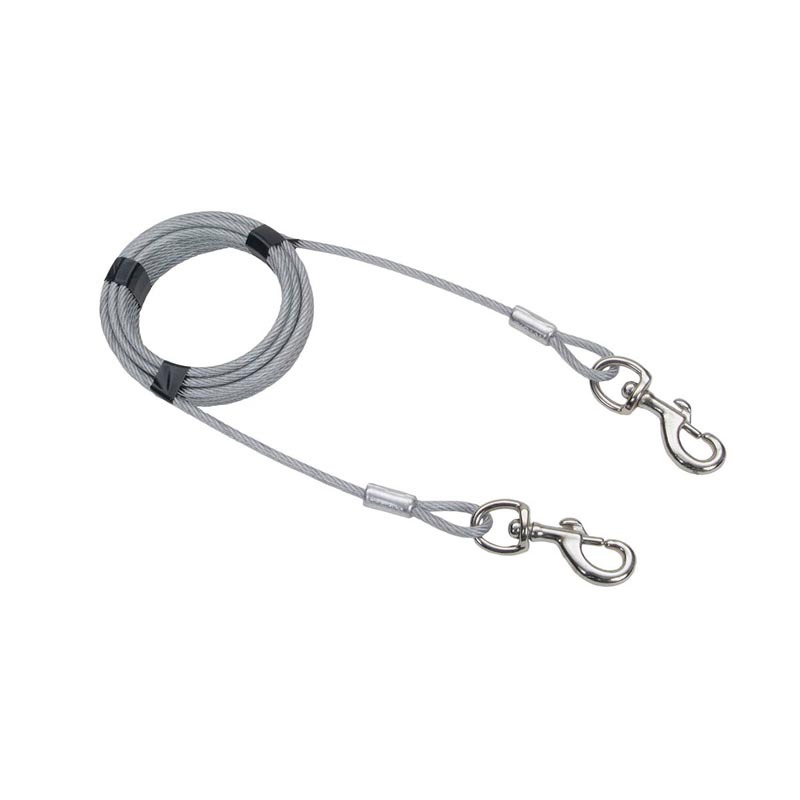 The Giant Tie Out Cable line features galvanized steel aircraft cable and heavy duty, nickel plated, bolt snaps. These tie outs are designed to safely secure extra large dogs. (Measures 20').